The following article is an editorial blog post. 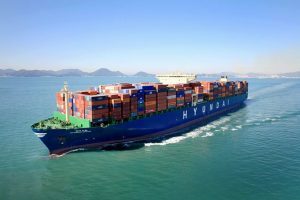 Hyundai Merchant Marine (HMM) made headlines this week for doing something all businesses should do — focusing on customers. Correction: HMM made headlines for saying it would focus on customers. Only in the ocean freight sector of the international shipping industry would a business saying it’s going to focus on customers make headlines. I don’t say headlines like “New HMM CEO targets customer focus for turnaround” on a Greg Knowler written article in the Journal of Commerce (JOC) are pathetic because they are poorly written. I say they’re pathetic because these headlines highlight how much ocean freight carriers ignore the most basic tenets of business. Businesses are supposed to focus on customers! You don’t have to be an economist or business dynamo to know that. I’d say it’s business 101, but it’s probably assumed you’d know businesses are supposed to focus on customers before ever taking a business class. Does this basic concept somehow not apply to ocean freight shipping businesses? Yes, that’s a rhetorical question, but apparently we have to answer it for carriers anyway. No! Ocean freight carriers need to focus on customer service! 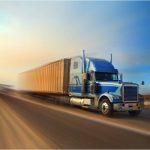 Shipping lines are notoriously bad when it comes to both reliability and transparency — Oh, and those just happen to be the two biggest things shippers want from carriers. It’s no wonder ocean freight carriers struggle with profitability. I don’t think I need to go over how carriers have suffered losses in recent years measured in the billions of dollars as that has popped up over and over again in posts on Universal Cargo’s blog. I’ve eased up on bringing it up recently because I figured our regular readers were tired of hearing about it. Carriers point at things like fuel costs and downward pressure on freight rates as reasons for losses, but I point where carriers never seem to point: at their history of dismal customer service. Downward pressure on freight rates is mainly self-inflicted by carriers’ ignoring another basic tenet of business — supply and demand — by creating overcapacity through poor capacity management. And let’s not mention all the rate wars (oops, I just did), where carriers undercut each other’s freight rate pricing and even their own General Rate Increases (GRI) to try to nab a little bit more market share. Want more market share, carriers? Try better customer service. Shippers would be willing to pay for better service to prevent costly delays and losses, not to mention the simple peace of mind better service would bring. IMO 2020 can’t be blamed for poor profitability. Carriers are right that the IMO 2020 cleaner fuel mandate is costly. Their fuel and fuel related expenses will go up. And we’re hearing tons about that from carriers. But the upcoming rule change can’t be blamed for poor profitability or loss carriers have experienced in the past. IMO 2020 is not an excuse for carriers’ poor customer service. There has literally been years for carriers to plan for switching to cleaner fuel. Why does it seem like carriers are suddenly in scramble mode to comply. The 0.5% sulfur cap was by no means just sprung on carriers. Carriers’ reliability issues and lack of transparency has been here long before IMO 2020, and only looks to increase with it. The expected plan from carriers for the IMO 2020 cleaner fuel mandate’s higher fuel costs is fewer direct port calls — yeah, that sounds like something shippers want — and as a result, more transhipment — that’s something shippers will hate. 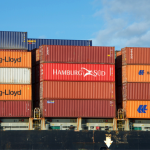 Transhipment means less transparency, longer and less predictable transit times, increased risk of cargo damage or loss… Actually, let me sum it up more simply with the theme of this post: it means poorer customer service. If that’s possible. Carriers are not too big to fail. Carriers have long been thought of as too big to fail. After all, international shipping is needed for the modern global economy. And it seems like governments are always ready to bail carriers out. But it doesn’t matter how big a company is. If it doesn’t serve its customers well and can’t make a profit, eventually it will become impossible to maintain. Everyone seemed shocked when the major carrier Hanjin Shipping collapsed a few years ago, but nobody should have been. Carriers were busy stacking years of loss on top of each other. What’s surprising is more carriers didn’t collapse. Carriers have repeatedly made moves, even giant trends, that are completely self-centered, ignoring the needs of the rest of the industry, including their customers. Megaships? Who would those benefit other than carriers, who were trying to decrease costs by moving more cargo at once? Not the ports that weren’t big enough to handle these huge ships. Definitely not shippers who saw their risk increase from cargo all being moved together and paid pricey costs as congestion from all those shipping containers landing at once delayed cargo. Dumping chassis? Again, it was convenient and “cost-effective” for carriers to stop supplying the necessary chassis to move shipping containers. But did getting rid of that service help their customers or the ports? Of course, not. Chassis shortage, congestion, and extra fees were all foreseeable results. When the businesses within an industry are not focused on the customers, competition shrinks. We’ve watched competition shrink in ocean shipping beyond Hanjin’s collapse as carriers formed alliances, merged, got bought out… all before turning to the last resort: customer service. Customer service is carriers’ desperation move. I’d applaud HMM for the words Knowler’s JOC article quoted from its statement that its new CEO would “focus on a customer’s view on handling HMM’s current issues in order to lead managerial innovation and strengthen its sales competitiveness,” but how can you really applaud a dying company for in desperation saying it will focus on customer service. It’s amazing HMM didn’t collapse before Hanjin did. 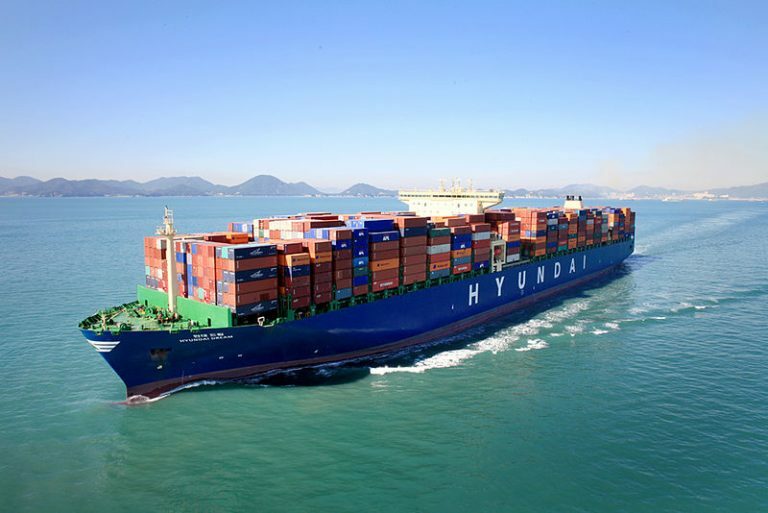 In the months leading up to Hanjin’s collapse, headlines were full of stories about HMM heading for receivership. Want another amazing fact? Knowler writes in his JOC article that HMM “hasn’t turned a quarterly profit since 2012.” Forget annual profit. HMM can’t even turn a quarterly profit! Yes, it’s time to finally turn to customer service HMM. And not just in word but in deed. It’s way past time. That goes for all the ocean freight carriers out there. You want to really innovate the industry and become profitable, carriers? Start making moves that are for shippers, you know, your customers. The ocean freight sector of the international shipping industry would a business saying it’s going to focus on customers. Transport and logistics industry main focus on safety for driver and container also customer service. You have to in mind timeline delivery customer accordingly shipment for this all thing transport management is good choice. This all things are included in Transport management system.